The paddlefish is an ancient, mostly cartilaginous fish with a smooth skin. It is a close relative of sturgeons. Although it is sometimes called a spoonbill or spoonbill cat, it is not closely related to catfish. Most species of paddlefish are now extinct, and fossil paddlefish from 60 million years ago have been found in the Missouri River basin near Fort Peck Reservoir, Montana. Only two species of paddlefish survive, a species in the Yangtze River drainage of China, Psephurus gladius, and our North American paddlefish, Polyodon spathula. Paddlefish are found throughout the Missouri and Mississippi river basins which drain most of the central United States. Twenty-two states have paddlefish, and Montana is the most westerly state with them. Several states are trying to reintroduce them into areas where they have disappeared. In Montana, paddlefish are found in the Yellowstone River as far upriver as Forsyth as well as the Missouri River above and below Fort Peck Dam. Fish above Fort Peck Dam (known as the Fort Peck stock) are now isolated from fish below the dam, although some upriver fish can pass downstream. An important recreational snag fishery exists for this stock in areas near the Fred Robinson Bridge. The downstream fish are part of the population inhabiting the Yellowstone River and Lake Sakakawea, known as the Yellowstone-Sakakawea stock. An important recreational snag fishery exists for this stock at Intake Diversion Dam, near Glendive. Paddlefish stocks in Montana are adequate to support a recreational fishery. Current research and monitoring are designed to prevent overharvest and insure a sustainable wild fishery. Managers accurately estimate the ages of the fish caught in the fisheries. Changes in the age structure of the population are being monitored to insure that young fish are added, and old fish retained, in the populations. The size of the Yellowstone-Sakakawea stock has varied greatly in the past century. The paddlefish population was modest throughout the first half of the 20th century but boomed in the 1960s following the closure of Garrison Dam and the filling of Lake Sakakawea. The flooding of the productive lands released many nutrients into the newly formed reservoir, resulting in excellent rearing conditions for paddlefish. Since the initial boom, however, the population has been gradually declining as a result of steadily lower productivity of the reservoir (a natural process) and from harvest and natural mortality of fish produced during the boom period. Our best estimates are that total population size of adult fish has declined from more than 100,000 fish in the late 1970s to 30,000-35,000 fish today. We also know from the number of young males being caught at Intake and studies of juvenile paddlefish in North Dakota that reproduction is occurring, but the predominance of older fish indicates that reproduction of the stock may be less than in the 1950s and 60s, soon after Lake Sakakawea was filled. The aging of the population, along with decline in fishing success rates and higher harvest of tagged (adult) paddlefish account for the reduction of the paddlefish limit from two per person per year to one per person per year in both Montana and North Dakota, and the proposed reduction to a 1,000 fish annual harvest cap per state. The aim is to stabilize the population at 30,000 fish and avoid over-harvest of this unique, slowly-maturing species. The Yellowstone-Sakakawea stock does not recognize state boundaries. For this reason, management of the stock occurs under a Cooperative Management Plan between the Montana Department of Fish, Wildlife and Parks and the North Dakota Game and Fish Department. The Fort Peck stock paddlefish rear in Fort Peck Reservoir and spawn in the Missouri River, entirely within Montana. The historical and current population sizes are less accurately known, but effort is underway to estimate population size. It is known that recruitment to the stock is occurring, and the harvest is much less than for the Yellowstone-Sakakawea stock. With a fish like paddlefish that matures at an old age, has a record of reproduction problems, and is not really seen often until it is large and on its upstream migration, we need to be watching constantly for signs of over-harvest. The greatest threat is loss of spawning habitat. Successful spawning seems to be the weak link in the paddlefish s survival. Paddlefish can grow well in reservoirs (even faster than in rivers), but they need natural, free-flowing rivers to reproduce effectively. Habitat quality for paddlefish is especially good for all life stages in the Yellowstone River-Lake Sakakawea system. Paddlefish spawn effectively in the Yellowstone because the free flowing, naturally fluctuating river provides good spawning habitat for them: a combination of high water, the right temperature and a good substrate of clean cobble, gravel and sand. It may be that the turbid waters protect the young fish from predation as the young move downriver to the reservoir. Once in the reservoir, paddlefish have abundant food for growth and maturation. So there s good habitat for the entire life cycle. In other areas throughout the United States, habitat quality is generally much worse. Nearly all of our large rivers in North America have been significantly changed by dam and reservoir construction, dredging, channelization, or excessive water withdrawals for irrigation agriculture and industry. Few rivers today provide combinations of flow, temperature, and gravel substrates suitable for paddlefish spawning. In many states, paddlefish have been nearly eliminated because their spawning habitat has been lost. Without spawning habitat, we really can t do much for the species in the long run. Legal overfishing has depleted paddlefish stocks in some areas, but it is not as much of a threat as habitat loss. Illegal fishing, however, can be a major threat to the species because it is uncontrolled. Illegal fishing, mainly for the eggs (a valuable source of caviar), has been documented in several states. In Missouri and Tennessee for example, many fish of both sexes have been illegally taken or killed as poachers sought eggs. Anyone hearing about illegal harvest should report it immediately. Paddlefish spawn in rivers d uring high water periods in late spring or early summer (May-June). In the Yellowstone, most evidence indicates that downriver areas near Sidney and Fairview are primary spawning areas, and to a lesser extent farther upriver toward Intake. We have recently been able to sample several eggs attached to artificial substrates near the Montana-North Dakota state line (Fairview). Many spawning sites are not yet well identified, however, and paddlefish undoubtedly spawn over gravel bars and areas of finer substrate in several areas of the Yellowstone. Only one person has successfully observed and documented paddlefish spawning (in the state of Missouri). In the turbid waters of the Yellowstone, observing the actual spawning will be difficult. Research is underway to more accurately pinpoint spawning locations through the use of telemetry and egg mats. The eggs become very sticky after they re fertilized, stick to the gravel and cobble, and hatch in about 7 days in 60 F water. Tiny larval paddlefish less that one inch long have been sampled in June in the lower Yellowstone River and the Missouri River above and below the Confluence of the Missouri and Yellowstone rivers. The young fish move downstream in the turbid Yellowstone waters, eventually reaching the reservoir where they spend much of their life. We know little about them until late July and early August, when they can be sampled near the surface of upper Lake Sakakawea. By this time they have grown to 5-6 inches in length, including the paddle. Feeding ecology in the reservoir is fairly well understood. Young-of-year paddlefish will bite at small food particles, but eventually (within a year) switch to filtering for food as they grow and need more food. The young paddlefish are pale nearly transparent and swim in loose groups, preferring to feed on a large zooplankton called Leptodora kindtii. Rapid growth of the young paddlers is an important survival tactic, because they are vulnerable to being eaten by saugers, walleyes, and other fishes, as well as by birds. The paddle was originally thought by scientists in the early 1900 s to be a shovel used to dig up mud and silt as the fish searched for small food organisms. Others thought it was a rod or stick used to stir up aquatic plants and shake off the insects and other food. But the paddle is not a shovel, a scoop, a rod or a spear. If you look closely at the paddle, it is noticeable that it has no scratches on it. Besides, paddlefish are mid-water feeders, not bottom-feeders. Recent research has shown conclusively that the paddle is an electrosensory structure that functions much like an antenna. It detects weak electric fields. The paddle, head and gill flaps are covered with tiny sensory pores that it uses to detect food organisms. The paddle may also function to keep the fish level in the water while it is continually moving and feeding. The paddle would then provide lift much like airplane wings to keep the fish from nose-diving to the bottom. The paddle is not developed at all on very young fish, but by the time the fish reaches 8 inches, the paddle may be half the total length of the fish. As the fish gets larger, the paddle becomes relatively shorter compared to the total length of the fish. Adult paddlefish can live without a paddle, but there is some evidence that those fish which have lost their paddles feed less efficiently and are thinner than those with their paddles intact. When feeding, adult paddlefish swim with their mouths wide open and filter the zooplankton from the water with filament-like gill rakers. In some places, adult paddlefish also filter aquatic insects and, occasionally, tiny fish. This filter-feeding strategy is why paddlefish do not take bait and why they are instead snagged in recreational fisheries. When paddlefish mature, at about age 9-10 for males and age 16-17 for females, they migrate up river to spawn. Adult fish do not as a rule die after spawning, but we know from tagging studies that a given female only spawns about every 3 years, and a given male about every 2 years. The best way to determine age is to use the lower jaw bone, called a dentary. We remove both lower jaws and dry them for 1-2 months. Then we clean the bone, cut a thin cross-section of each jaw, and interpret annual rings on it, much like interpreting tree rings. One ring forms on the jaw each year. Most of the large fish (40-90 lbs.) at Intake are females which range from 15 to 50 years of age and average about 26. Most of the small fish (10-40 lbs.) are males which range from 9 to 50 years old and average about 16. Paddlefish can occasionally live past age 50, with fish in the Yellowstone and upper Missouri River living longer than those farther south. The Montana record is 142 1/2 pounds, caught above Fort Peck, in 1973. Fish of the Yellowstone-Sakakawea stock seldom exceed 100 pounds. Fish living in lakes and reservoirs often grow faster and larger than those living solely in rivers. The males and females have evolved different strategies for reproducing and passing on their genes to the next generation. The larger a female is, the more eggs she can produce, and the more young paddlefish she will probably produce. So it s really an advantage for a female to grow as large as she can and produce the extra eggs. A male gains less by becoming large because even a small male will have millions of sperm enough to fertilize all of the eggs from the largest female. Furthermore, it doesn t appear that largeness in males would give them much of an intimidation advantage over other males in turbid waters like the Yellowstone. It is preferable for males to mature at a younger age than females so they may reproduce more often, as opposed to taking the time to grow large, risking death before they spawn. Conversely, a female benefits more from the gamble she takes in delaying maturity because of the additional eggs she will produce. Scarnecchia, D. L., P. A. Stewart and G. J. Power. 1996. Age structure of the Yellowstone-Sakakawea stock in relation to reservoir history. Transactions of the American Fisheries Society 125:291-299. Scarnecchia, D. L., and P. A. Stewart. 1996. 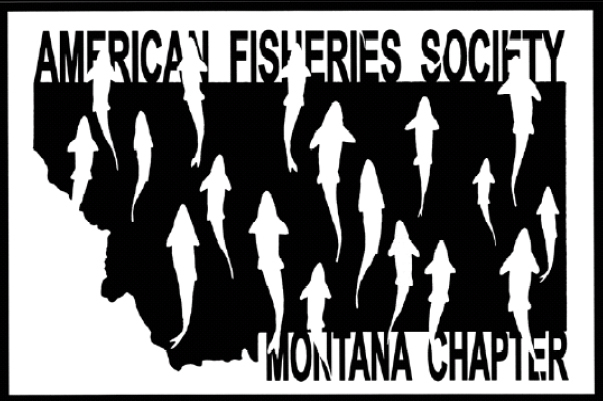 Managing Montana s paddlefish:new approaches. Montana Outdoors 27(3):10-14.